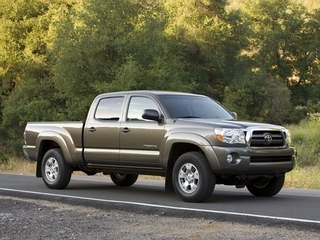 Tacoma Base V6, Base V6, V-6, 4X4 W/ THE TRD PKG! 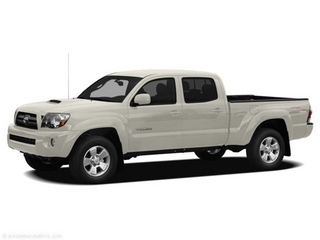 LOCKING REAR DIFFERENTIAL, TOW PACKAGE, RUNNING BOARDS, COMPOSITE BED WITH RAIL SUSTEM AND AUTOMATIC TRANS. 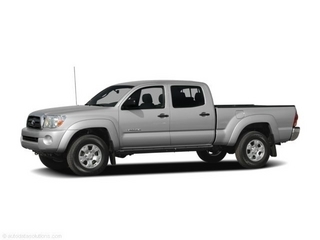 SUPER NICE TACOMA AT A GREAT VALUE! 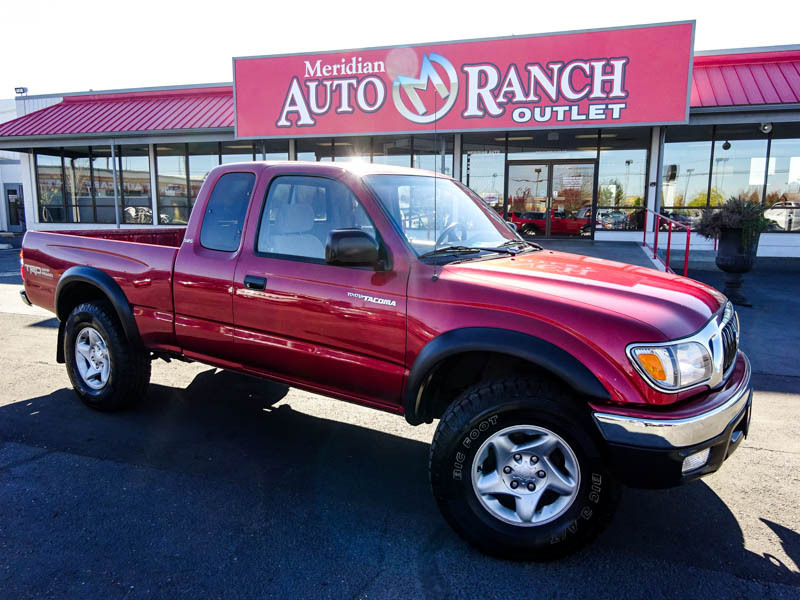 COME ON DOWN TO MERIDIAN AUTO RANCH TODAY- WHERE WE DO BUSNIESS A BETTER WAY! !, Tachometer,Passenger Airbag,Power remote passenger mirror adjustment,Right rear passenger door type: Conventional,Engine immobilizer,Center Console: Full with covered storage,Rear door type: Tailgate,Fixed antenna,Total Number of Speakers: 6,Cupholders: Front and rear,Suspension class: Regular,Rear Leg Room: 32.6,Tires: Width: 245 mm,Tires: Speed Rating: S,Argent grille,Rigid axle rear suspension,Urethane steering wheel trim,Power windows,Front Shoulder Room: 57.7,Tilt and telescopic steering wheel,Rear Hip Room: 55.2,Wheel Width: 7,Door reinforcement: Side-impact door beam,Seatbelt pretensioners: Front,Head Restraint Whiplash Protection with Passenger Seat,Overall Width: 74.6,Overall height: 70.1,Silver styled steel rims,MP3 player,Double wishbone front suspension,Regular front stabilizer bar,Instrumentation: Low fuel level,Overall Length: 208.1,Coil front spring,Overhead console: Mini with storage,AM/FM stereo,Speed Sensitive Audio Volume Control,Rear Shoulder Room: 59.3,Power door locks,ABS and Driveline Traction Control,Front Head Room: 40.2,Flip forward cushion/seatback rear seats,Urethane shift knob trim,Black bumpers,Front reading lights,Gross vehicle weight: 5,450 lbs.,Tires: Prefix: P,Clock: In-dash,Rear center seatbelt: 3-point belt,Split rear bench,Speed-proportional power steering,Passenger vanity mirrors,Child safety locks,Manual front air conditioning,Type of tires: M+S,Steel spare wheel rim,Leaf rear spring,Interior air filtration,Vehicle Emissions: LEV II,Stability control,Front Independent Suspension,Front Leg Room: 41.7,Privacy glass: Light,Left rear passenger door type: Conventional,Digital Audio Input,Tires: Profile: 75,Power remote driver mirror adjustment,1st and 2nd row curtain head airbags,Door pockets: Driver, passenger and rear,Front Hip Room: 53.6,Driver Seat Head Restraint Whiplash Protection,Bucket front seats,Spare Tire Mount Location: Underbody w/crankdown,Rear Head Room: 38.5,Driver airbag,Diameter of tires: 16.0,4 Door,Fuel Type: Regular unleaded,Automatic locking hubs,Leaf rear suspension,Two 12V DC power outlets,Intermittent front wipers,Tire Pressure Monitoring System,Independent front suspension classification,In-Dash single CD player,Fuel Capacity: 21.1 gal.,Wheel Diameter: 16,Front suspension stabilizer bar,Side airbag,SiriusXM Satellite Radio,Braking Assist,Wheelbase: 127.4,Cloth seat upholstery,Front Ventilated disc brakes,4-wheel ABS Brakes V-6, 4X4 W/ THE TRD PKG! 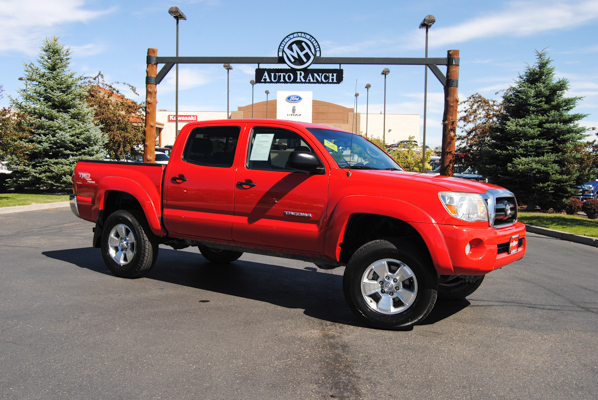 LOCKING REAR DIFFERENTIAL, TOW PACKAGE, RUNNING BOARDS, COMPOSITE BED WITH RAIL SUSTEM AND AUTOMATIC TRANS. 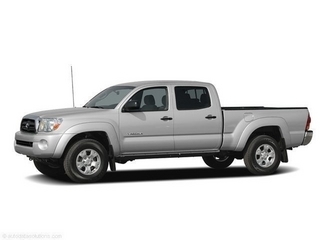 SUPER NICE TACOMA AT A GREAT VALUE! 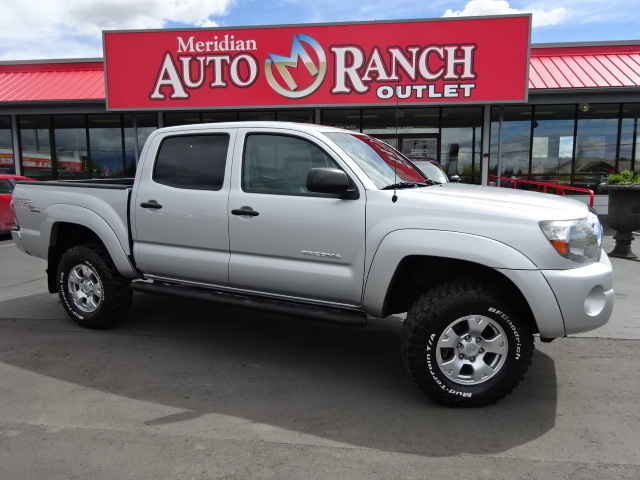 COME ON DOWN TO MERIDIAN AUTO RANCH TODAY- WHERE WE DO BUSNIESS A BETTER WAY!! 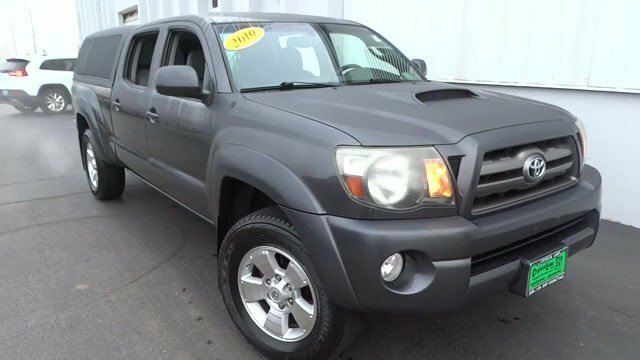 Tacoma Base V6, **NO DEALER FEE**, **CERTIFIED BY CARFAX ONE OWNER AND NO ACCIDENTS! **, **FLORIDA CAR - LOCAL TRADE! **, **SERVICE RECORDS AVAILABLE**, and **ONLY 42,000 MILES !! **. 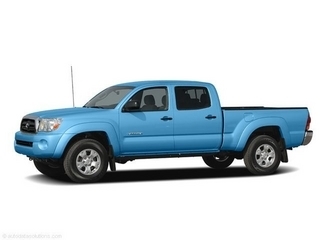 We have financing on most vehicles. Good, bad, or no credit! We welcome all trades! At Mullinax there are NO DEALER FEES! That SAVES you $800 over our largest competitors every day. Just add tax. 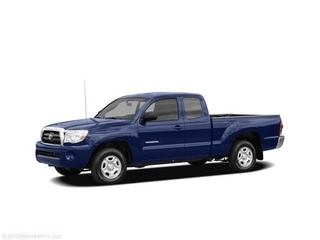 While every reasonable effort is made to ensure the accuracy of this information, Mullinax Ford is not responsible for any errors or omissions contained on these pages. 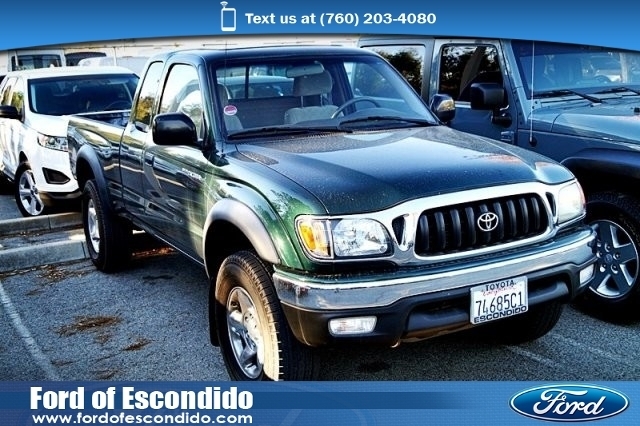 VENGA Y COMPRE CON CONFIANZA, HABLAMOS SU IDIOMA!, **CERTIFIED BY CARFAX ONE OWNER AND NO ACCIDENTS! 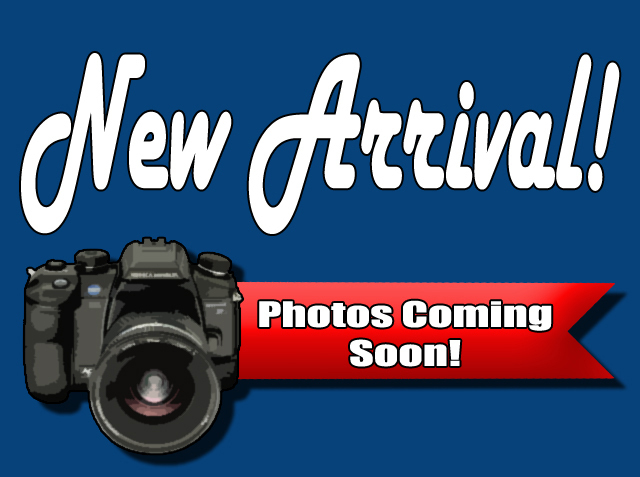 **,**FLORIDA CAR - LOCAL TRADE! 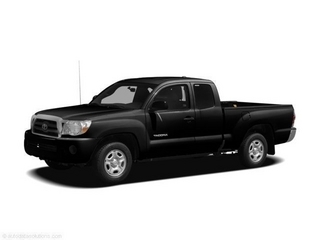 **,**NO DEALER FEE**,**ONLY 42,**SERVICE RECORDS AVAILABLE**,000 MILES !! **,16' x 7J+30 Style Steel Disc Wheels,3.727 Axle Ratio,6 Speakers,ABS brakes,AM/FM radio,AM/FM/CD w/6 Speakers,Air Conditioning,Anti-whiplash front head restraints,Auxiliary Audio Jack,Brake assist,Bucket Seats,CD player,Driver door bin,Dual front impact airbags,Dual front side impact airbags,Electronic Stability Control,Fabric Seat Trim,Front Bucket Seats,Front Center Armrest,Front anti-roll bar,Front reading lights,Front wheel independent suspension,Low tire pressure warning,MP3 decoder,Occupant sensing airbag,Overhead airbag,Overhead console,Passenger door bin,Passenger vanity mirror,Power Door Locks,Power Mirrors,Power Windows,Power door mirrors,Power steering,Power windows,Rear step bumper,Split folding rear seat,Tachometer,Telescoping steering wheel,Tilt steering wheel,Traction control **NO DEALER FEE**, **CERTIFIED BY CARFAX ONE OWNER AND NO ACCIDENTS! 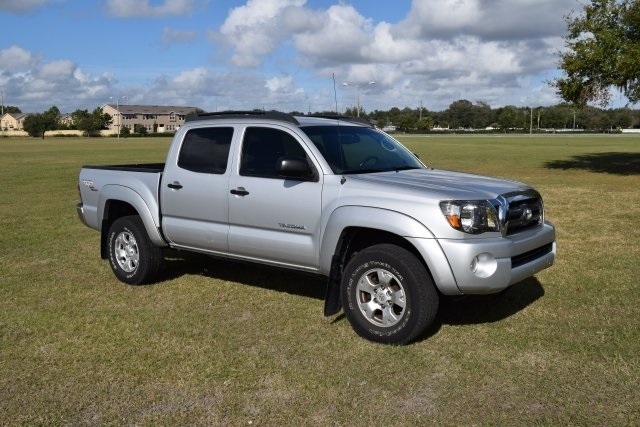 **, **FLORIDA CAR - LOCAL TRADE! **, **SERVICE RECORDS AVAILABLE**, and **ONLY 42,000 MILES !! **. We have financing on most vehicles. Good, bad, or no credit! We welcome all trades! At Mullinax there are NO DEALER FEES! That SAVES you $800 over our largest competitors every day. Just add tax. While every reasonable effort is made to ensure the accuracy of this information, Mullinax Ford is not responsible for any errors or omissions contained on these pages. VENGA Y COMPRE CON CONFIANZA, HABLAMOS SU IDIOMA!